Manila City or City of Manila, the capital city of the Philippines, not to be confused with the much larger Metro Manila, is one of the 16 component cities of Metro Manila and is the second largest city, next to Quezon City . It is the political, economic, educational, and cultural center of the Philippines. This city, having old narrow streets, has one of the worst traffic congestions in the metro. Not to say, it only takes short, heavy rain for the streets to flood up to knee or waist level. Manila has an interesting marriage of the old and the new, giving you a glimpse of the many contrasts that the city and the country as a whole has. Beside the old Spanish colonial houses in Manila are modern, concrete, high-rises while the mansions of affluent Chinese families are just blocks away from the shanties of the poor in Tondo. The name Manila originated from the name given by the Sultan of Brunei, which was Amanillah or Maynila, meaning “Security of God”. It is also believed that it came from the Tagalog term Maynilad, meaning “there are Nilad flowers” which were abundant in the area. Before the Spanish times, Maynilad was a Moslem settlement. It was conquered by the Spanish in May 1570, retaken by Filipino-Moslems and re-conquered by Miguel Lopez de Legazpi in 1571. Manila was under American rule for almost 50 years, Japanese for 4 years, and in 1946, the Philippines gained its independence and Manila became its premier city. 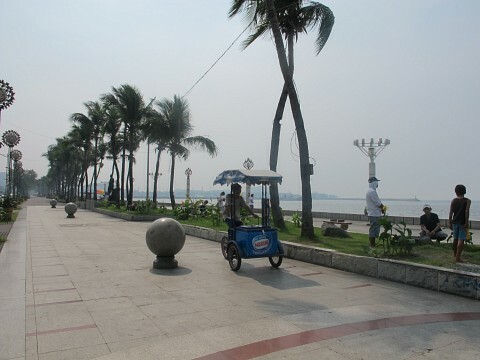 From the Manila International Airport, the best option would be to get a taxi and take the Roxas Boulevard route that takes you directly to the Luneta-Manila Hotel area. Without traffic, the trip should take you less than an hour at a cost of ₱300 ($6.60) for the regular metered taxi. It can go up to ₱500 ($11) for yellow airport taxi with light traffic which might only happen between midnight to dawn. 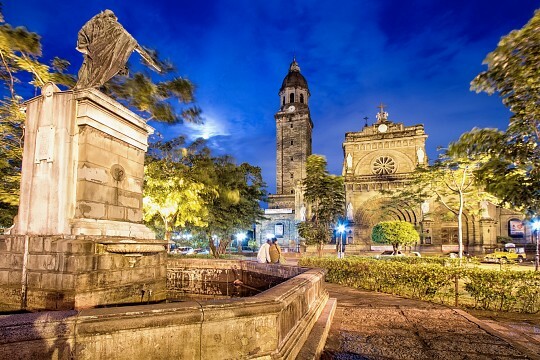 The Walled City of Intramuros gives a glimpse of the glorious history of Manila. Miguel Lopez de Legaspi built the high walls of stones with bulwarks and moats completed in 1606, enclosing 64 hectares of land with houses, government buildings, schools, and churches. World War II bombings destroyed a good part of Intramuros but restoration efforts have preserved what’s left. Guided tours are available. 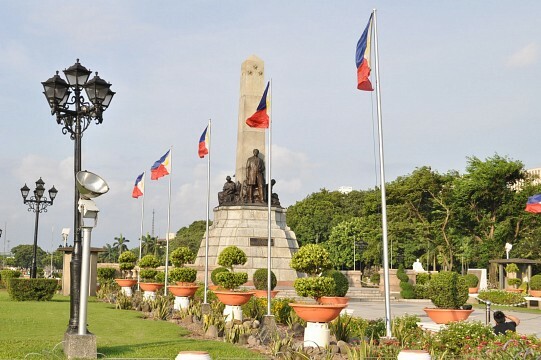 Popularly called Luneta, this 58-hectare park is one of the biggest parks in Southeast Asia. This is the site where the national hero, Dr. Jose P. Rizal, was executed in 1896. His remains are interred at the 50-foot Rizal Monument. Expect a crowd on weekends and holidays. Historically significant for the Battle of Manila Bay in 1898, Manila Bay on Roxas Boulevard is the best place to watch the magnificent sunset. Along Manila Bay are several food kiosks and seaside restaurants so expect to see a crowd on weekends. Water quality in Manila Bay has deteriorated over the years because of discharges from Pasig River. The official office and residence of the President of the Philippines, Malacañang Palace was built in the 18th century and is located along the Pasig River. Founded in 1611, this is the oldest university in Asia and currently has 12 colleges plus 3 ecclesiastical faculties. It is located along Espana Street in the old district of Manila. This district is a symbolism of the long partnership between the Filipinos and Chinese. 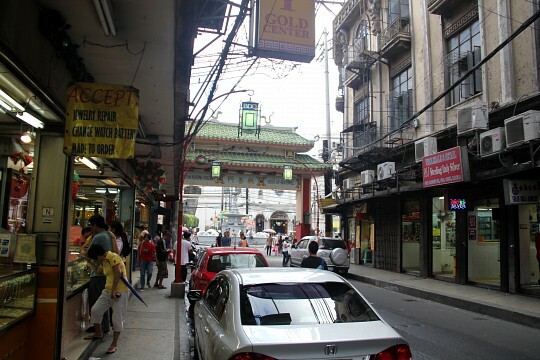 Located in Binondo, it is a great source for authentic Chinese food, jewelry, good luck charms, Eastern medicine, and more. Go on a Binondo tour or ride the horse-drawn carriage named ‘caretela’. Originally built in the 16th century, it has undergone several rebuilding and repairs since it has been damaged by a fire, earthquakes, typhoon, and World War II. 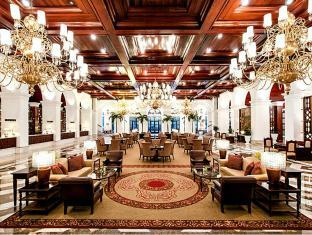 It is located in Intramuros and is a popular place for grand weddings. This church was built in 1582 and survived earthquakes, typhoons, and wars. It is home to the Black Nazarene which has a huge devotion in the Philippines. Surrounding the church are fortune tellers, vendors of herbal remedies, and cheap merchandise as well as pick-pockets and swindlers. Another testament to the ostentatious taste of former First Lady Imelda Marcos, the Coconut Palace was built in 1978, mostly of treated coconut trees and local materials including capiz shell. It is located along Manila Bay and is now the official residence and office of the Vice President of the Philippines. The complex, built during the Marcos Regime, is located along Roxas Boulevard and includes the Coconut Palace, Tanghalang Francisco Balagtas (Folks Art Theater); Philippine International Convention Center, the entertainment center of Star City; and Sofitel Philippine Plaza Hotel. Located on the water's edge of Rizal Park, it is a world-class marine park that showcases the rich marine life of the Philippine waters together with those from other Asian countries. Tickets cost between ₱250 ($5.50) to ₱1,100 ($24) depending on the attractions you want to see. To go to different places within traffic-congested Metro Manila, the fastest option would still be the railway transport. LRT 1 (Light Rail Transit System Line 1) or Green Line goes from Baclaran in Pasay to Monumento in Caloocan, and the Green Line Extensions goes on to North Avenue Corner EDSA, Quezon City, with 12 stations in Manila. MRT 2 or Blue Line goes from Recto in Santa Cruz, Manila to Santolan in Marikina with 4 stations in Manila. Jeepneys are colorful and adventurous albeit cheap means of travelling to nearby areas of Manila. Check out the destinations painted on the side of the jeepney and in the plate attached to the front windshield. Buses ply different routes including those going to places outside Metro Manila. Board buses in designated bus stops or within Manila at the bus stations for provincial destinations. There is no specific bus schedule but there are buses that run round the clock. 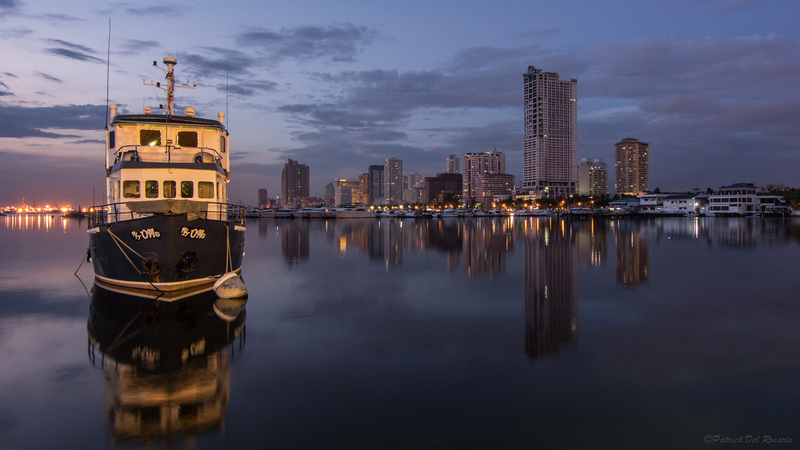 The Pasig River Ferry plies the now cleaner Pasig River with 6 terminals from Plaza Mexico in Intramuros, Santa Ana in Manila; PUP Santa Mesa in Manila, Escolta in Manila; Guadalupe in Makati, and Pinagbuhatan in Pasig, passing by Malacanang Palace. As always, the most convenient option would be the taxi that can practically take you right up to the door of your destination. Ask the taxi driver to use the meter and if he refuses, you can always get out and hail another one. When road congestion is really bad, the only option would be a fixed rate but it is important to set the rate before proceeding with the trip. Some of the best bargain shopping places can be found in the City of Manila which is why people from other provinces and cities flock here looking for the best buys. It is best to go with a local companion to this bargain mecca. There are thousands of China- and Philippine-made products like clothes, shoes; bags, novelty items; textile, food ingredients & packaging; fruits & vegetables, housewares; and more at bargain prices that are less than half mall prices. Be prepared to brave crowds, long walks, pick-pockets, and a lot of haggling. Located near the Baclaran Church on Roxas Boulevard, stalls and stores sell dry goods similar to Divisoria, although on a smaller scale. You can still expect crowds and scalawags, especially on Wednesday. Hidalgo in Quiapo is a photographer’s haven with bargain prices on cameras and accessories. Accessories and beads can be found in Villalobos, eyeglasses in Paterno, appliances and bike shops on Raon, pirated DVDs and more in other areas. Chinatown is the best place to go for gold jewelry, Chinese novelty, hardware, and Chinese delicacies like hopia. Manila's Chinatown is not quite as dressed up as other cities' Chinatowns and can, from some roads, only be recognized be a few lanterns. 168 Mall – Santa Elena Soler Street, Binondo. 999 Mall – Recto Soler Street, Binondo. Tutuban Mall – Recto near Tondo. Other malls include Robinson’s Place Manila in Ermita, Robinsons Otis in Paco; Ever Gotesco in Quiapo, Harrison Plaza in Malate; SM City Manila in Ermita, SM City San Lazaro in Santa Cruz; SM City City Santa Mesa in Santa Mesa, and Lucky Chinatown Mall in Binondo. Barbara’s Restaurant – in Intramuros; buffet of Filipino food. Ilustrado Restaurant – in Intramuros; Filipino food specialties. Ying Ying Tea House – in Yuchengo Street, Binondo; Chinese specialties include cold cuts, congee, and buns. Café Mezzanine – in Ongpin Street, Binondo; serves Chinese food where the revenue are donated to support fire fighters. Harbor View Restaurant – in Manila Bay; fresh seafood. Ang Bistro sa Remedios – in Adriatico Street, Manila; Filipino specialties. La Cocina de Tita Moning – in San Rafael Street, San Miguel; old Filipino and Spanish cuisine. Aristocrat – in Roxas Boulevard, SM Manila, SM San Lazaro, and Robinsons Manila – is a legendary restaurant with Filipino food specialties including barbecued chicken. Casa Roces – JP Laurel, San Miguel – Filipino and Spanish cuisine. Kashmir – Padre Faura Street, serves Ermita; Indian, Middle Eastern and Malaysia food. Kokoro Ramenya – Santa Monica Street Corner Roxas Boulevard; Japanese specialties which includes the ramen. There's no other place in Metro Manila but in the City of Manila can you see such a diverse range of accommodations available for all types of travelers. There are cheaper options available as well although they may be in sleazier sections of Manila that may not be too safe and would be in the interior portions that would be inconvenient for foreign visitors who are not familiar with the area. First time visitors to Metro Manila would probably want an accommodation in nearby foreigner-friendly Makati instead. Manila is notorious for pick-pockets and swindlers so be very careful not to talk to strangers on the street including vagrants. Always keep your bag and valuables near you and within sight. Be careful of those who will try to distract you and take your attention away from your valuables. Take guided tours if you want to go around the popular attractions which provide you with the best places to visit and accurate information on these places. Carlos Celdran is one of the best, with his 3-hour Classic Intramurous Tour at ₱1,100 ($24). Ivan Man Dy of Old Manila Walks offers a food tour of the best eats in Binondo. There are places in Metro Manila that should best be avoided at night. 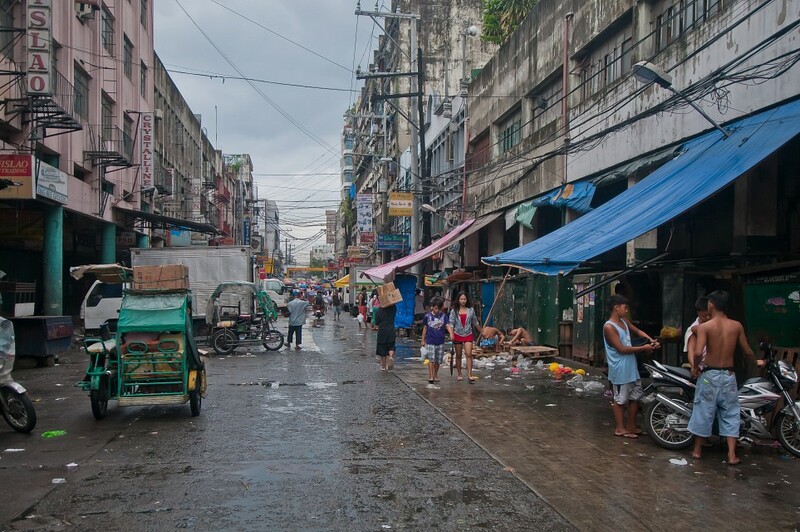 While Ermita and Malate are popular for the exciting nightlife, altercations with drunks and gangs have been documented in these places and necessary care should be taken to avoid these. Have small bills ready since taxis oftentimes do not give change anymore. When buying from small markets, it is difficult to get change for bigger bills.